Capital Otolaryngology (Austin) - Book Appointment Online! 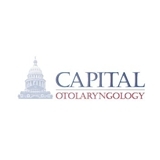 Capital Otolaryngology is Austin’s trusted source for ear, nose, and throat (ENT) care. Capital Otolaryngology offers comprehensive services including adult and pediatric ear, nose, and throat care; advanced sinus care including balloon sinuplasty; snoring and sleep apnea treatments; outpatient minimally invasive thyroid and parathyroid surgery; as well as facial cosmetic and reconstructive surgery. Feel confident that when you visit Capital Otolaryngology, our physicians are dedicated to your individualized attention and strive to provide the best ENT care available in a compassionate environment. We recognize that attending to the needs of our patients is essential in making their time with us a positive experience and everyone here is dedicated to you achieving a full and speedy recovery.